device is able to decode around 960 packets from Track 1 of WA8LMF TNC Test CD v1.1 (not preeamphasized audio). WX3in1 Plus 2.0 allows you to generate APRS data packets with information field defined by user and send them in a specified interval. In this way, it is possible to send beacons, objects, weather and telemetry data. Packet is ignored if it was corrupted. Callsign filter - a simple callsign filter allows you to add stations to black list (these stations will be ignored) or white list (only these stations will be digipeated). 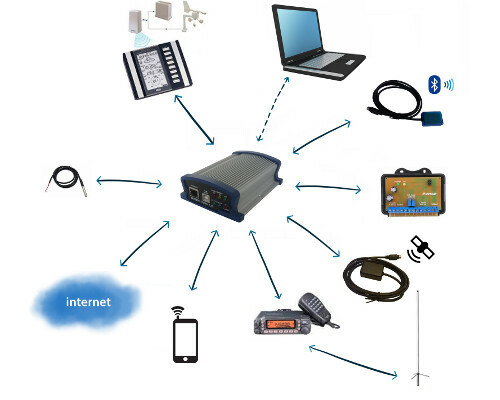 WX3in1 Plus 2.0 allows you to connect to APRS-IS server network. After logging to selected server, it is possible to gate data received from the APRS radio network. 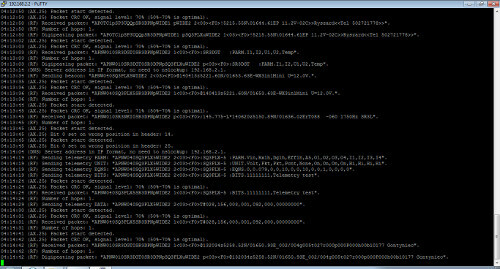 All packets with correct format and checksum are forwarded to APRS-IS. WX3in1 Plus 2.0 allows you to receive packets from APRS-IS server. Then a decision is made whether to gate a packet to RF or not. It is possible to forward different types of packets based on a filter defined in device configuration. 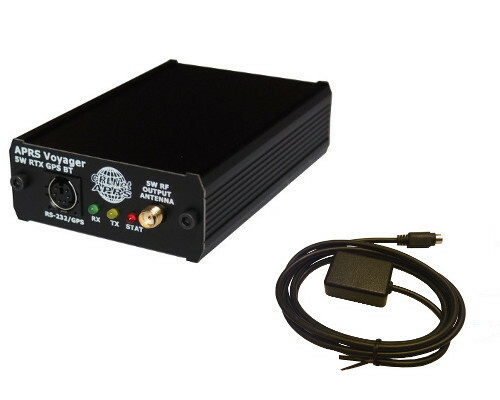 APRS message packets can be forwarded to stations which were heard on RF within limited number of digi-hops (local RF), and they are repeated up to 3 times in case of no ACK packet received from message recipient. 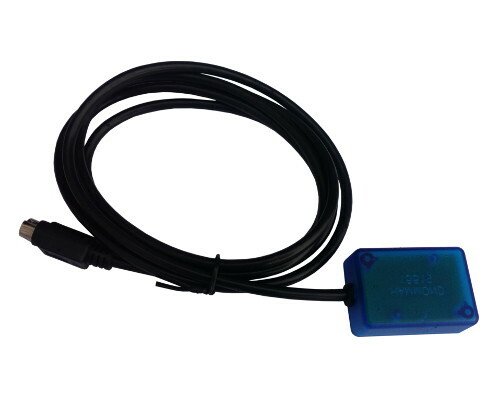 WX3in1 Plus 2.0 allows you to connect an optional GPS receiver module to report current position in APRS and APRS-IS beacons. Therefore it is possible to use it with a moving station and display a real-time position on the map. Firmware version 1.08 adds a functionality of a KISS protocol TNC allowing to forward received packets via optional Bluetooth interface connection to an external device (e.g. Android smartphone). 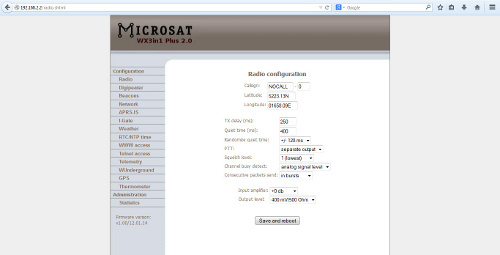 It is also possible to receive packets from Bluetooth and send them to RF. Thereby it is now possible to use the device as a Bluetooth TNC. Tests were made with APRSDroid 1.3.0 giving a nice ability to show received packets on the application map and allowing to send packets from mobile phone to RF. 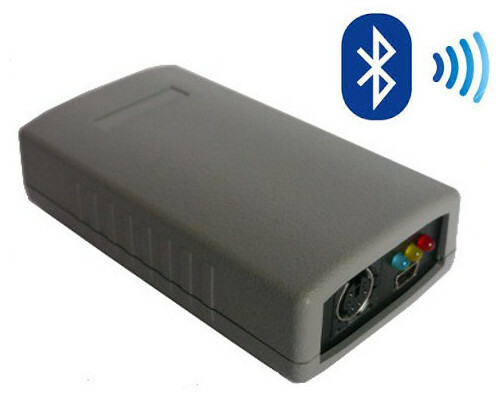 This feature allows any networked device to connect to WX3in1 Plus 2.0 TCP/IP port and receive packets in KISS format without a need to use of a Bluetooth module. At the time of writing of this manual revision (firmware v1.09) KISS via TCP/IP is only one direction (RF → TCP/IP). 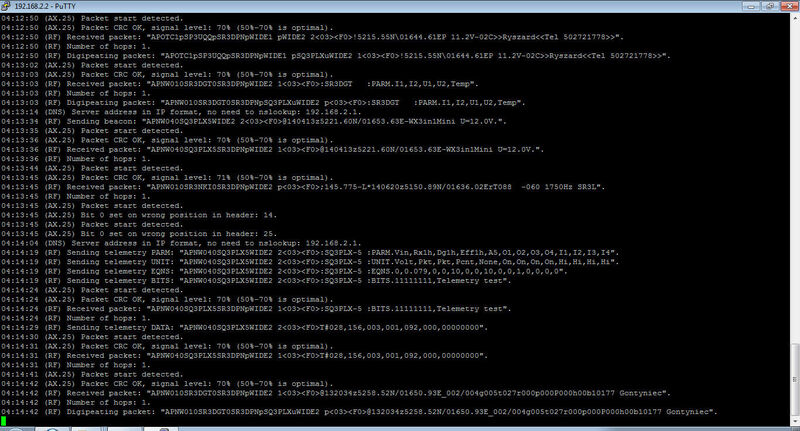 KISS via TCP/IP was successfully tested with APRSDroid 1.3.0. 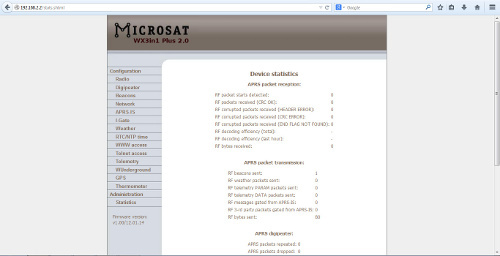 APRS-IS simple server allows any networked device to connect to WX3in1 Plus 2.0 TCP/IP port and receive packets in APRS-IS format. APRS-IS simple server connection is bi-directional (RF → TCP/IP, TCP/IP → RF) and it also allows to exchange packets with currently connected APRS-IS T2 server. This feature allows third-party software to use WX3in1 Plus 2.0 as a gateway between network and radio channel. 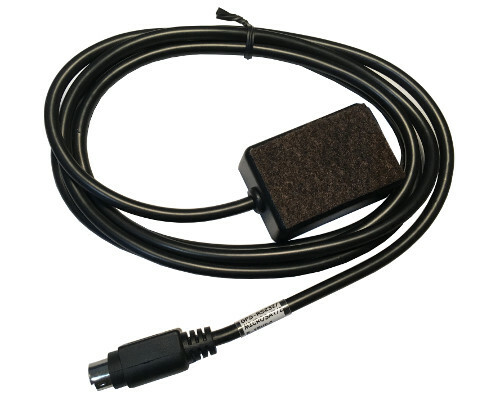 WX3in1 Plus 2.0 allows you to receive weather information from weather stations via the RS-232 cable. Data is then encoded into the APRS packet and may be sent to APRS network at specified intervals. Additionally WX3in1 Plus 2.0 allows you to send weather data to APRS-IS server. Weather Underground is one of the biggest weather services available on the web. It allows you to create an account for your weather station and send weather reports which are stored in their database. 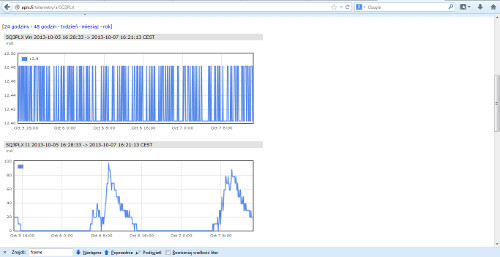 Data is then available for view in form of graphs, tables or a simple web page applet showing current conditions in your location. Everyone can send his weather data using a simple internet protocol. In WX3in1 Plus 2.0 you can configure your Weather Underground account name, password and send weather data in preconfigured time intervals. You can also send your weather data in "rapid fire" mode every 5 seconds and see your weather changes realtime using their web page applet. 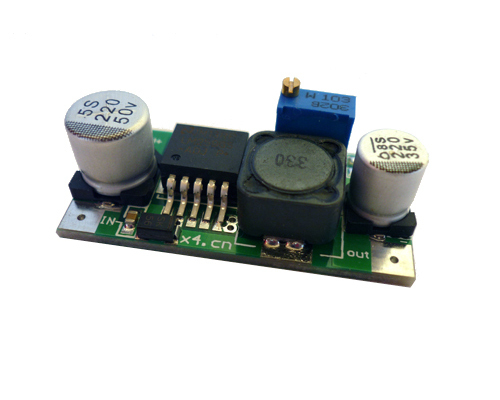 4 mosfet transistor open-collector outputs. States of both inputs and outputs can be reported in APRS telemetry reports and outputs can also be controlled with WX3in1 telnet interface. With WX3in1 Plus 2.0 you always have the current date and time thanks to NTP support. Device connects to a defined NTP server every few minutes and checks for the current time. Local passage of time is handled by on-board RTC clock with a battery. On the rear panel of WX3in1 Plus 2.0 you can find a 1-wire connector for DS18B20 thermometer. Measured temperature can then be sent using beacons or as one of telemetry channels. In WX3in1 Plus 2.0 you can do all firmware and configuration updates over an USB cable connection from your PC using a simple Configurator application. If your device is located in a remote location, you can update firmware and configuration over TFTP protocol. 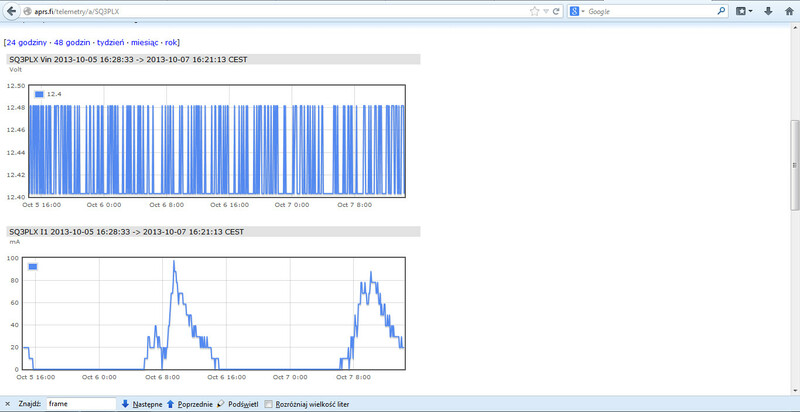 With WX3in1 Plus 2.0 device it is possible to configure and view device statistics remotely via web browser. Below you can see 2 of 13 available configuration pages (as in firmware version v1.41). You can connect to your WX3in1 Plus 2.0 device with a telnet client. Telnet connection allows you to check all device operation messages, read device statistics, send some test packets useful during installation, control digital outputs of WXBits module, and much more. Below you can see device back panel with power, RS-485, DS18B20, serial ports and radio connectors. Below you can see a photo of a device PCB. 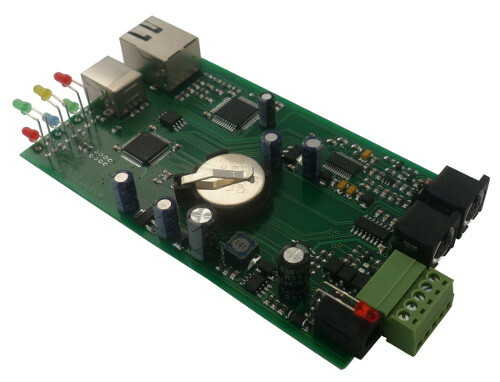 It is a compact design mounted on a high-quality 2-layer PCB manufactured in Poland. Every unit is mounted and tested by me.